In April 2018 it was announced that Sainsbury’s would buy ASDA, currently owned by US giant Walmart, to become the largest supermarket in the UK. Will Sainsbury's keep its commitment to Fairtrade in its marriage to ASDA? Sainsbury’s is the largest retailer of Fairtrade products in the UK. 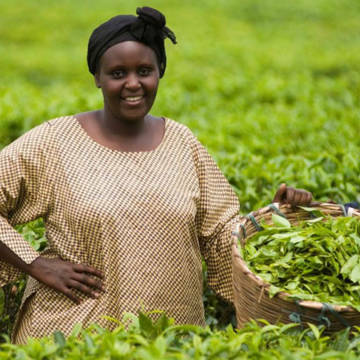 Last year they decided to abandon Fairtrade certification on some of their own-brand tea products and pilot their own scheme instead, known as 'Fairly Traded'. We were concerned that this new ‘Fairly Traded’ tea, and any products that follow it, could mean an unfair deal for poor farmers and producers. 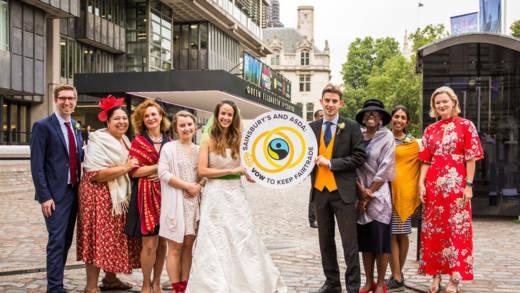 During a day of action, hundreds of people wrote to or tweeted Sainsbury’s and visited their local Sainsbury’s stores to voice their support for Fairtrade. It has now been a year since the Sainsbury’s pilot was launched and we want to know how it has impacted the lives of farmers and producers. In April we also heard the news that Sainsbury’s hope to buy ASDA to become the largest supermarket in the UK. We very much hope that Sainsbury’s will keep its commitment to Fairtrade in this move. January 2019: We’re still keeping an eye on the Sainsbury’s Fairly Traded pilot. Sainsburys remains the world’s largest Fairtrade retailer and haven’t rolled out their Fairly Traded programme to other products. Good news! We look forward to an update on the performance of the pilot for farmers in 2019. Please ask Sainsbury’s to support Fairtrade. Download this letter and hand it into your local store manager. Small-scale farmers and producers in the developing world often bear the costs and risks of trade, while global companies make the profits. Fairtrade products such as tea, cocoa, bananas and thousands of other top quality goods have been bought by companies for sustainable prices. Fairtrade ensures the world’s poorest growers and producers are able to earn a decent living and earn a premium they can put back into their communities. Why does CAFOD support Fairtrade? CAFOD founded the Fairtrade Foundation in 1992 along with Christian Aid, Oxfam, Traidcraft, the World Development Movement and the National Federation of Women’s Institutes. We believe we are all part of the global food system - which means we have the power to change it. Changing the food we buy and choosing products from Fairtrade companies is one of the ways we can help tackle poverty. Fairtrade Fortnight takes place at the end of February each year. It's a good opportunity to get involved with a CAFOD campaign and speak out for justice in solidarity with the world’s poorest communities. Can our parish be a Fairtrade parish? Your parish can sign up to be a Fairtrade parish today! Simply fill out the Fairtrade parish application form and return to CAFOD. Sainsbury's CEO Mike Coupe has replied to campaigners' letters about Fairtrade. This short briefing gives CAFOD's response to Mike Coupe's letter, and suggests some questions that you might like to ask Sainsbury's in response. 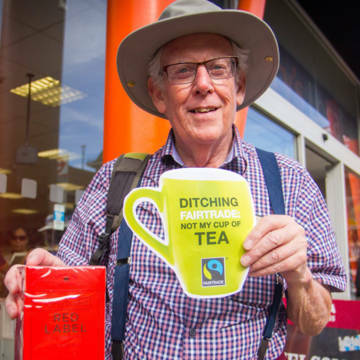 Print and cut out this mug to take a photo outside your local Sainsbury's store when turning in your letter to the store manager asking them not to ditch Fairtrade. If your parish is turning in a letter, print a few of these mugs for a group photo, and share @CAFOD on Twitter or Facebook. Use this amendable letter to tell Sainsbury's not to ditch Fairtrade tea. Personalise this letter and get as many people in your parish or community to sign it, before turning it in to your local store manager. Resources for children and young people to explore Fairtrade.